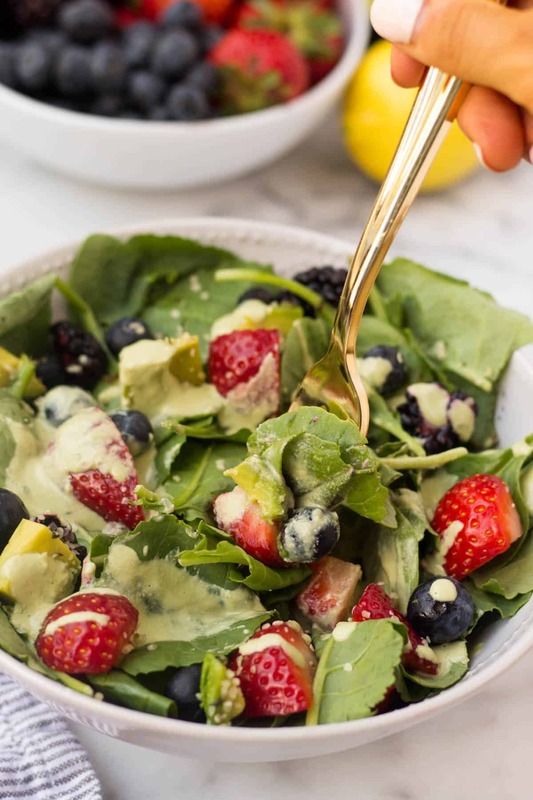 A perfect easy & light end of summer dish, this Berry Avocado Salad with Creamy Matcha Dressing packs the nutrients & is paleo, vegan, dairy free, & Whole30 approved! 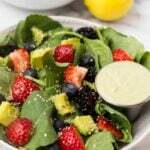 I entered this Berry Avocado Salad with Creamy Matcha Dressing in the Pure Taste and Kiss Me Organics recipe contest. Check out the entries and please vote for me here! You might have to scroll to the second page to find me! 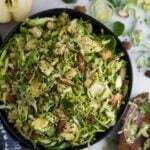 I know everyone is in fall mode already, but I have one more recipe that would be perfect for these warmer fall days. I mean you want to take full advantage of all the summer produce right? Well this recipe does just that. Come Thursday, it’s on though! 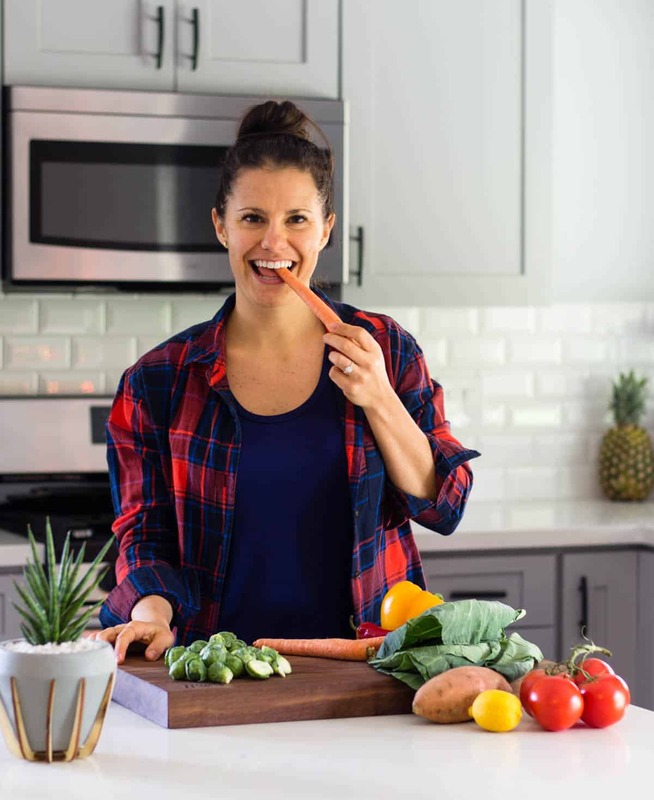 Fall recipes happening in full force! 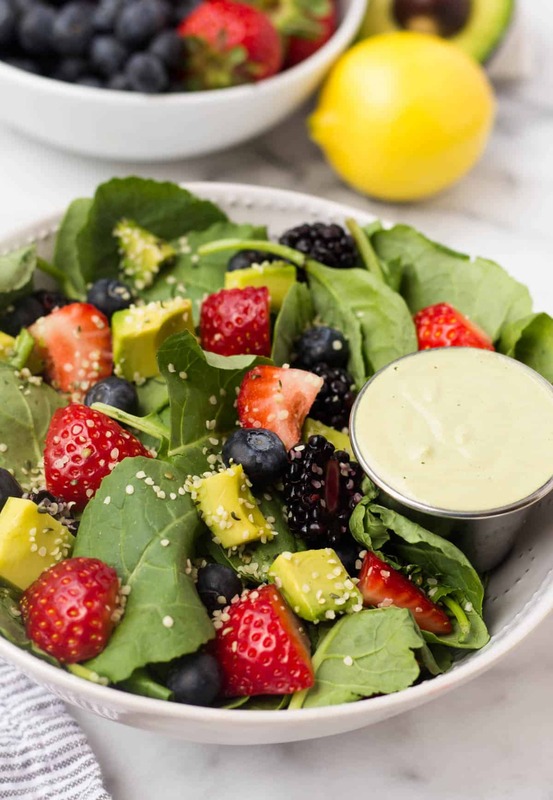 This berry avocado salad super easy to throw together and would be a great side dish to just about any meal. You could also throw some protein on it and make it a full meal. 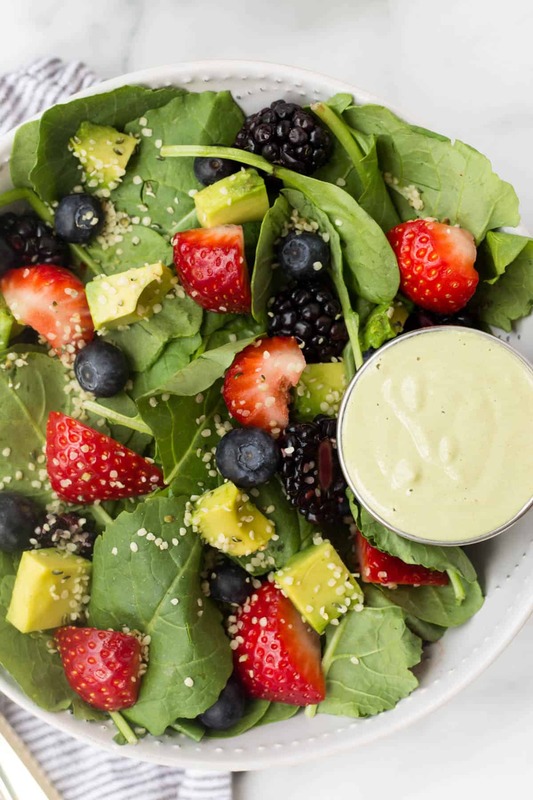 But the real star of the show is the dressing – a creamy matcha dressing in fact. If you are unfamiliar with matcha, it is just ground up green tea leaves. It has 137 times more antioxidants than regularly brewed green tea while packing int the health benefits – it is anti-inflammatory, protects against cancer, stimulates metabolism, lowers cholesterol, calms the body, and helps detoxify among a bunch of other things. Pretty much a superstar. If you have followed me for awhile, you know I’m a huge fan of dressing, dips, sauces, and spreads. It makes eating so much more fun and enjoyable. So that’s exactly what I did with this salad. To get the creamy consistency I blended up some cashews (my go-to) with matcha and a few other ingredients. 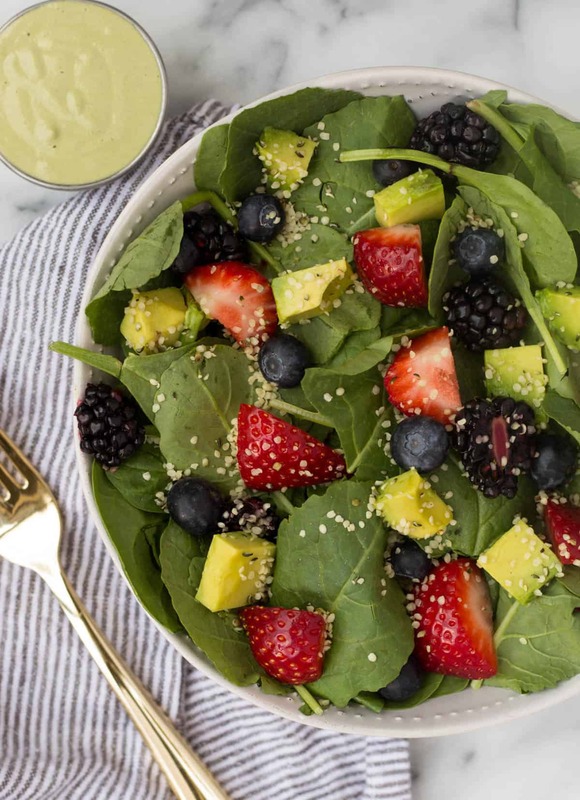 It makes the perfect pairing for the berries and avocado. Michael was a huge fan of it as well and was putting it on most of his meals. 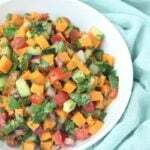 So even if you don’t want to make the salad, make the dressing and dip away! 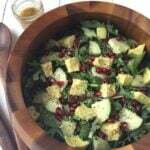 This recipe is part of the Kiss Me Organics and Pure Taste recipe contest. 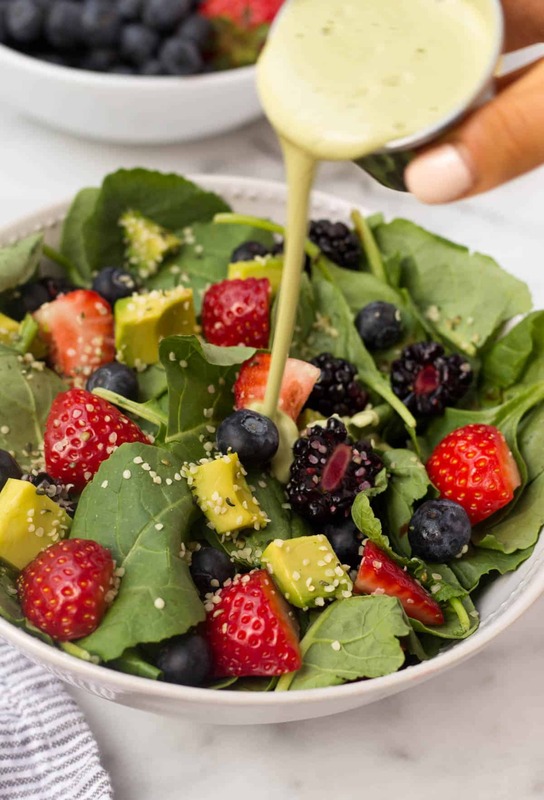 If you could take a minute and vote for my Berry Avocado Salad with Creamy Matcha Dressing it would be greatly appreciated! Thank you for supporting Eat the Gains! Make the dressing. Place all ingredients in a Vitamix or high powered blender and blend until smooth and creamy. Set aside. Make the salad. 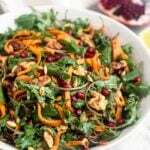 In a large bowl or two medium sized bowls add all the ingredients for the salad. 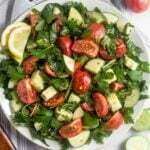 Top with dressing and enjoy! *Place cashews in a bowl. Cover with water. Let soak for at least 30 minutes or overnight. 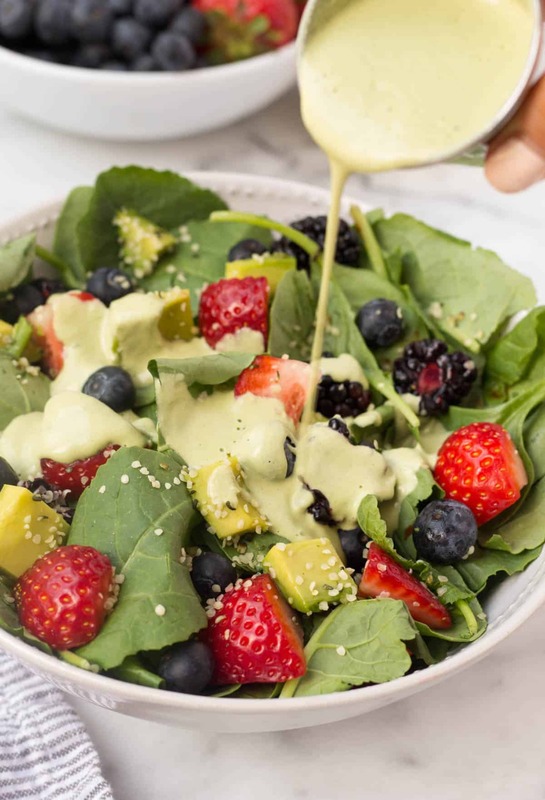 Matcha dressing?! Sounds amazing – Can’t wait to try! Thanks Chelsea, hope you enjoy!